With a mission statement to include the newest and brightest talent with the more established order of underground dance artists, Particles has always been at the vanguard of the dance movement, helping to give artists a platform in an unforgiving industry. As 2016, swiftly kicks into gear, we are proud to introduce another new artist to our roster, this time in the shape of German producer, Aural. Node and his “Clouds at Dawn” EP. Hailing from the ancient Roman fort city of Mainz in south-western Germany, Jasper Luetkens has began to make a name for himself in the production area with his Aural.Node production moniker. An artist with a modus operandi demonstrating a “symbiosis between nature and technology”, the Aural.Node raison d’être is to reconcile the “bridge between the highly artificial and technology dependent electronic music and the spirituality of our minds and souls”. Thus, the perennial question of how to develop a musical soul within the rigid, loop-driven structures of dance music is uppermost in the Aural.Node sound. Building on a noteworthy DJ career with live performances at clubs such as Tresor in Berlin, the ability to create warm analogue instrumentation and organic sounds within Aural.Node’s music has thus seen “Blutmond” for EME now followed by the impressive four-track “Clouds at Dawn” EP for Particles. “Fräulein Dur” opens proceedings with its hypnotic and grooved riff melded with cavernous analogue bass. Developing elegantly with ticking percussive hi-hats driving the rhythm section, a sublime freeform melodic paining provides a deliciously evocative landscape that bristles with gently pulsating vibrancy. Continuing the theme, “Sadulo” instantly provides a sense of subtle urgency with its popcorn bouncing riff that revels in delayed groove while an intelligent percussion section supplies a perfect rhythmic partner. The addition of a reversed lead sequence and vowel filter further adds an air of playful fun to an intelligently produced track. The smooth bass prowess found within “Inverse Motion” is another fine example of the range of sounds available to Aural.Node production palette as a pitched vocal treatment adds a slightly sinister edge to staccato rhythms and rasping bass filters. Hitting its stride in the third movement, the combination of rhythm and imaginative melody give the track a strong character. Aptly named, the title track itself is full of meandering pad textures that pitch a weaved path in coruscating glory. A dance floor component comprised of glassy grooved riff is a welcome addition, interacting expertly with strong techno beat and relentlessly pulsing bass line. The result is an ingenious affair that bears comparison with Kraftwerk style Teutonic precision coupled with organic passion. 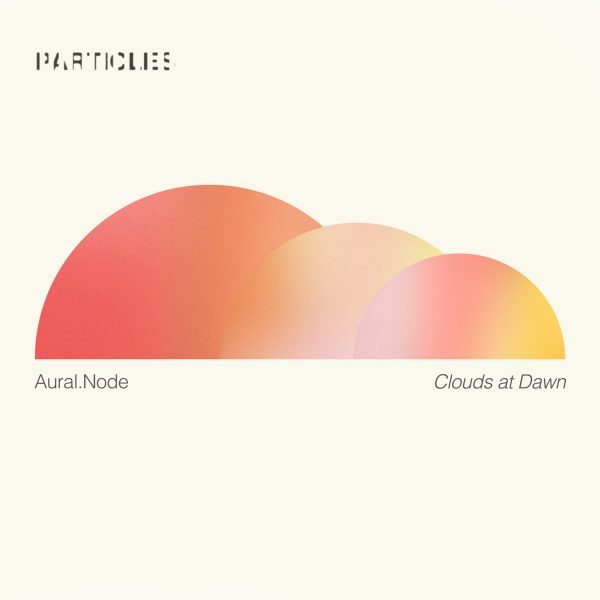 A debut EP full of skill and promise sees Aural.Node develop his music, “From Clouds and Spaces” while his feet remain firmly on the ground, anchored for success.